Max Maddox is the coauthor of Walks on the Margins: A Story of Bipolar Illness. He has a BA in philosophy from Grinnell College and an MFA from the Pennsylvania Academy of Fine Art, where he was nominated for the Joan Mitchell Award and received the Fellowship Trust Award. He has exhibited his work in galleries including The Slought Foundation, The Print Center of Philadelphia, and the Ellen Powell Tiberino Memorial Museum. He was the preparator, photographer, and curator at the Sun King Gallery and Pyramid Museum in Philadelphia and also assistant to artist and curator Richard Torchia, Director of Arcadia University Gallery. He lives in Colorado where he teaches, continues to pursue his career in art, and speaks and writes about mental health. He is a NAMI certified speaker for “In Our Own Voices” presentations. Kathy Brandt is a published author who taught writing at the University of Colorado for ten years. 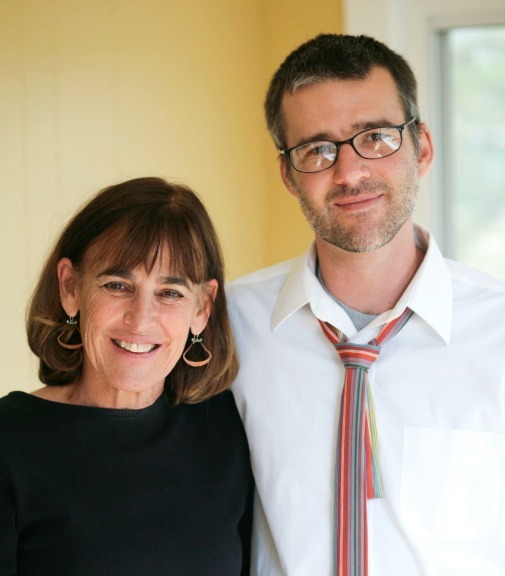 She and her son, Max Maddox, co-authored Walks on the Margins: A Story of Bipolar Illness, which was a finalist for the Iowa Review Award in Nonfiction. Kathy is a vocal advocate for those with mental illness and writes and speaks about mental health issues. She served as president of the Colorado Springs chapter of National Alliance on Mental Illness (NAMI). In 2012 she received the NAMI National Award for Excellence, NAMI’s highest award, for her leadership and service on behalf of those living with mental illness. She is also the recipient of the 2014 Golden Quill Award celebrating outstanding literary excellence for Walks on Margins. Kathy has also published four Hannah Sampson Underwater CSI mysteries (Swimming with the Dead, Dark Water Dive, Dangerous Depths, and Under Pressure) with the Penguin Group She has a B.A. in English and an M.A. in Rhetoric. She lives in the mountains of Colorado. Max was a thriving college student until the day he disappeared into mania and psychosis and ended up roaming the streets, picked up again and again by the police, and contemplating suicide as the way to escape his pain. Stunned by Max’s illness, Kathy struggled to parent a son with bipolar disorder, a task made more difficult by the failings of doctors, hospitals, and the law. She feared she would be unable to help him regain the life he had lost as one hospitalization followed another with few answers in sight. A finalist for the Iowa Review Award in Nonfiction, this fiercely candid story of a mother and son creates a window into the illness once known as Manic Depression. 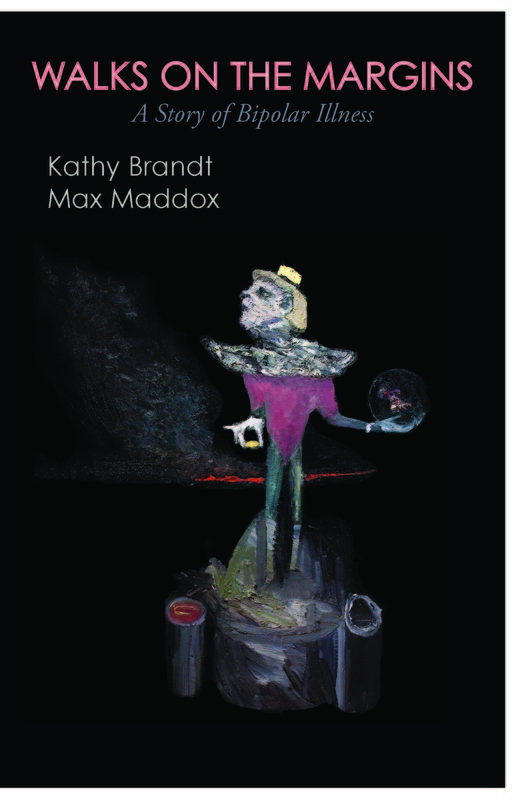 Told in alternating chapters by Max and Kathy, his mother, the two narratives weave a single story about Max’s dangerous brushes with psychotic manias and long bouts of suicidal depression. Each day the unknowns of their life unfold as they battle their way through the institutions and systems that have failed to embrace the needs of those with mental illness.